Estate Planning Attorney in Chicago: What is a Probate Lawyer? The probate process can be lengthy and complicated, which is why probate lawyers are necessary for planning for your future. Probate lawyers make sure the process is smooth and done correctly, always keeping your best interests in mind. At Valente Law in Chicago, our attorney Charles Valente is well-versed in estate planning, probate and wealth preservation law. To find out how he can help navigate you through the probate process, contact him today! Probate is the legal process that determines what goes to whom after a person’s passing. During the process, heirs and designated beneficiaries are distributed whatever the deceased person left in their name, and it’s also when any debt that is owed to creditors is paid off. Usually, probate property is revealed in the deceased person’s last will and testament. Probate laws vary from state to state; however, in the state of Illinois, a formal probate court proceeding is only necessary if the assets of the deceased person are owned solely by them and if the combination of the probate assets are worth more than $100,000. A person is appointed to administer the estate, usually a beneficiary or person described in the deceased person’s will. The will’s validity then must be proven in court. The appointed person is then required to give notice to all known creditors and take inventory of the estate property. All estate and funeral expenses, debts and taxes are then paid from the estate. Legal titles in property are transferred according to the deceased person’s will. A probate lawyer, also known as an estate planning attorney, is ultimately responsible for taking a client, usually a beneficiary or personal representative, through the entire probate process. Locating and securing probate assets and nonprobate assets. Getting the date of death values and appraisals of the deceased person’s property. Preparing and filing all the required probate court documents in a timely manner. Keeping track of the estate’s checking account. Assisting with the sale of an estate property. 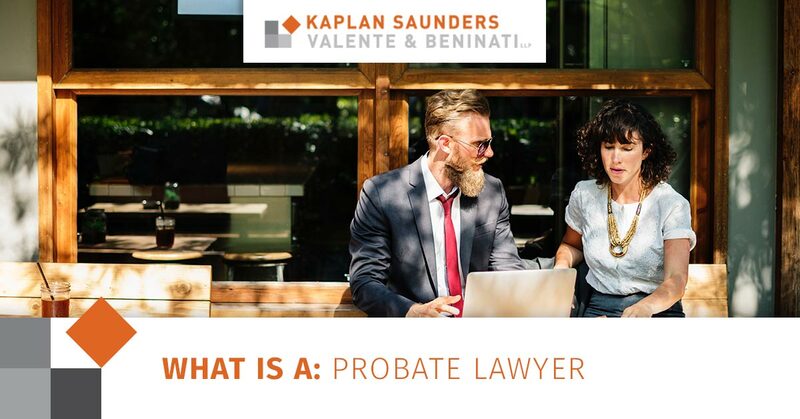 The entire probate process can take, on average, anywhere between six and nine months, according to the American Bar Association. This time frame can vary though, especially if there are any disputes over the legality of the will or distribution of assets. When problems arise, the process can take several years. Attorney Charles Valente is well-versed in the probate process, thanks to decades of hands-on experience. His goal is to provide a simple, organized and comfortable approach for his clients to help them transition whatever goods they have to the next generation. If you’re in need of a great estate planning, probate or wealth preservation lawyer, give Valente Law a call today at (312) 832-7890 or fill out an online request form to schedule an appointment.